WICHITA, Kan. (AP) — A Wichita oilman has been fined $10,000 for violating state regulations involving oil and gas contamination. 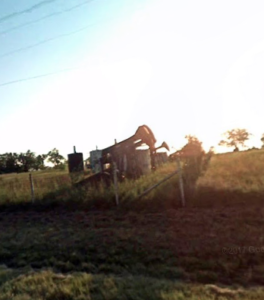 The Kansas Corporation Commission on Tuesday fined Benjamin Giles for violations at two wells near Towanda in Butler County. Giles says he didn’t do anything wrong and he plans to appeal. The commission found Giles didn’t follow procedures for casing or plugging the two oil wells, which officials say can harm usable groundwater. Commission documents and testimony indicate that Giles pulled the casing out of an old oil well in 2014 and didn’t replace it until 2016. The commission also said Giles hasn’t shown that another well is properly cased.